Table of Contents from the 7th edition of Biology by Raven et al. Maybe some scientists are taking the possibility of extraterrestrial life seriously, but not all scientists are, including this one. Now, I cannot prove extraterrestrial life does not exist, nor can I prove that it does. What I can do though, as a scientist and a Christian, is use the Bible to inform and direct my scientific pursuits. And the Bible starts in Genesis 1:1 by saying that “In the beginning, God created the heavens and the earth.” In other words, He created Earth, and everything else, and Earth was the place He put life. Earth is special and unique. The Bible does not mention that life was put anywhere else. Also, Jesus would have had to die many times over in many other places to take away the sins of those “worlds”, and that’s not mentioned in the Bible, either. Using that information, I would then ask a question: Does extraterrestrial life exist? My hypothesis would be “No, extraterrestrial life does not exist.” Then, following the scientific method, I would collect data in an effort to falsify my hypothesis. In other words, I would search for extraterrestrial life. There was a time when the word “superstition” was used to describe beliefs outside of Christianity. Today, the definition has been hijacked by secular fundamentalists in order to paint all Christian beliefs as unreasonable. Indeed, Christianity is foolishness to the unbeliever (I Corinthians 1:18), and I certainly don’t claim some superior rational understanding as to why God allowed a pattern of Creation, Fall, and Redemption, but there sure is a lot of evidence out there to support what the Bible says about this. I’ll use the older definition of superstition for this discussion. 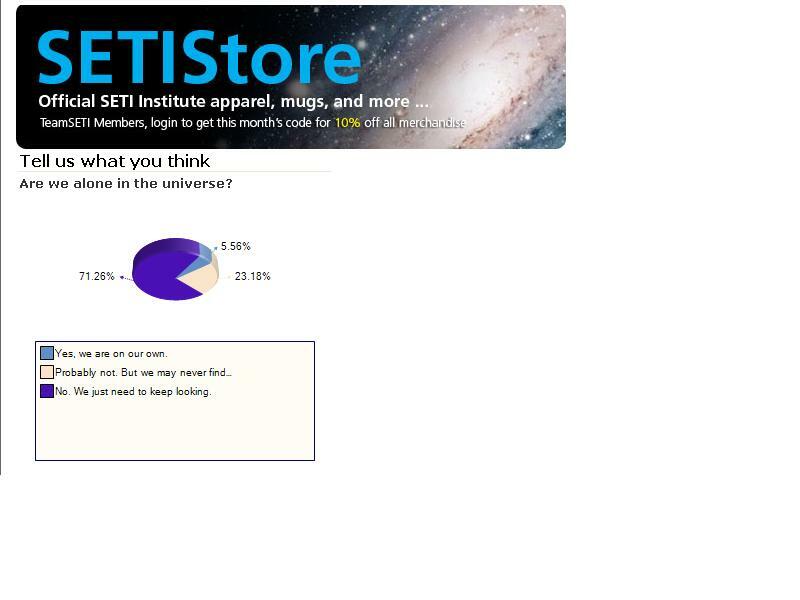 In case you are wondering, polls do not prove the existence of extraterrestrials! Real, verifiable data is the only thing that can scientifically prove the existence of extraterrestrials. And ALL the data collected so far shows that every place else in the universe is DEAD. 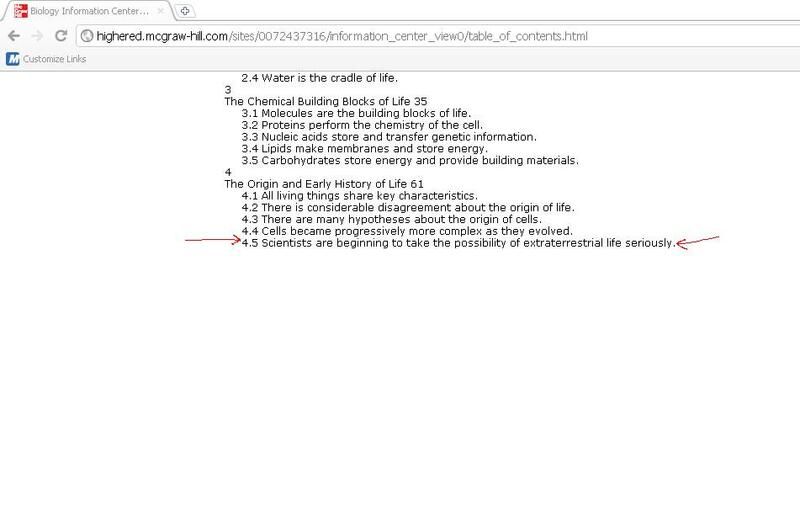 Therefore, my hypothesis stated earlier is correct; extraterrestrial life does not exist. If you want to let all the hype, books, opinion polls and movies convince you that aliens exist, that’s fine, but I think you are being superstitious. Back in the early 1600’s, Francis Bacon, considered the founder of the scientific method, wrote that a proper interpretation of God’s Word would lead to a better understanding and use of His Works. And when it comes to extraterrestrial life, a study of His Word and His Works both give the same result, THERE IS NO EXTRATERRESTRIAL LIFE. If you want to believe in aliens and even search for them, then by all means feel free to, but your pursuit is superstitious, not scientific. On a final note, you might be interested to know that the subchapter about extraterrestrial life came from the 7th edition of Biology by P.H. Raven et al. The 7th edition came out in 2005, and since then, two newer editions are out. And guess what? The extraterrestrial subchapter was removed from the more recent editions! So, could it be that scientists are starting to take seriously the possiblity that science is overstepping its bounds and needs to step back and rethink a thing or two? Perhaps.